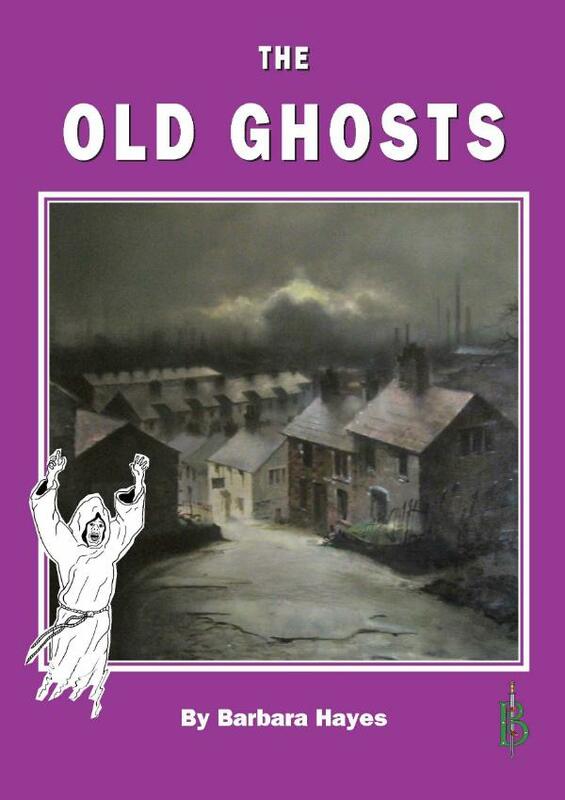 The traditional ghosts of old England given a new twist for the 21st century by a master storyteller. The British Isles are the most haunted places on Earth. Ghosts shimmer through stately homes and humble cottages alike. They linger at lonely crossroads and walk the ancient trackways. There are whole categories of spirits, visitors from other worlds as well as ghosts of the once living, but few people know much about them. In case you should ever meet one it could be useful to know how to tell a Banshee from a Boggart, or understand why White Ladies appear. If you hear and see the Wild Hunt you can but hope it is not chasing you. Should you be afraid if you see a mighty Black Dog loping along an ancient trackway? And what about the mysterious Co-walkers or Doppelgangers? Don’t you think you should know about all these things? Better safe than sorry. In the stories in this book Barbara portrays exactly how Boggarts, Banshees, Co-Walkers, the White Lady and the Old Hag behave. Barbara Hayes has recently retired after a lifetime spent as a successful writer. She began in Fleet Street in the 1950s and over the years she has had some 80 books and 7300 scripts published. She has spent years researching folklore, ghosts, spooks, fairies and all manner of supernatural beings. So she knows what she is talking about. Elvira was fey. There was no doubt about that. She had seen the Hedley Kow. And what was more, when she saw it, she had known what it was — unlike everyone else who saw it and were deceived by it. On her visit to Langley Abbey she had both heard and seen the Abbey Lubber swilling back the wine in the cellars. The other tourists had laughed as the guide had told them about the quaint beliefs of the folk from the Middle Ages. How they had thought that minor devils posing as monks were sent to tempt the brothers at the abbey into drunkenness and gluttony. How these so-called Abbey Lubbers had sat in the cellars drinking wine and laughing and gossiping and tempting the weaker brothers to join them. Sometimes these devil Abbey Lubbers had undermined the morality of whole priories. The guide had said how simple folk must have been in those days to believe such nonsense. Then he had added with a patronising laugh that sometimes nowadays bottles of wine went missing from the modern restaurant sited in the old cellars. “Some people say it is the Abbey Lubber at work, but of course we don’t believe that,” he maundered on. Standing right beside the prattling guide, Elvira had seen the Abbey Lubber raise a bottle of vintage port to his lips and drink a swig. His fat stomach wobbled under his cassock. He lowered the bottle, wiped his hand across his chubby lips and winked at Elvira. He grin was wicked. He knew Elvira could see him. He offered her the bottle and beckoned with his head for her to join him. How she longed to do so. The old devil looked as if he could tell a fascinating tale. The rest of the group would think she had taken leave of her senses. She did not wish to make a bad impression on the new boyfriend trailing at her side. She winked back at the slobbering old rogue in his wine-stained cassock, with the promise of decadent pleasures twinkling in his eyes. Then she turned to follow the other visitors and left the Abbey Lubber to his drinking. Only someone like herself with eyes to see would ever trace the cause of the loss of stock in that restaurant. It would not be the Abbey Lubber actually taking real wine. He was a spirit, not of this world. The loss of wine was being caused by those he influenced to sit down and take a sly drink when they should have been working. The culprits might not even see the Abbey Lubber or know why they suddenly thought that their employers owed them a free drink. But it was the Abbey?Lubber who was putting wicked ideas into their heads. Until he was banished, the losses would continue. Elvira did not say anything to the abbey guide. She knew when to keep her mouth shut. That was a hard lesson Elvira had learned in her teens. Being fey was not popular. One friend’s mother had been very upset when Elvira went to tea and asked who the little old lady was who had died in the dining room. Elvira explained that the old lady’s ghost was still sitting at the table waiting for the final grace to be said so that she could get up and go on her way to the other world. The mother had reluctantly admitted that an ancient and devout great aunt had died of a seizure half-way through a meal long years ago in that very room and that she had been a woman who liked to say a prayer of thanks to God at the beginning and end of every meal. In all the fuss of her death, no one had finished eating, let alone remembered to say grace. To Elvira’s surprise, her friend’s mother had not been pleased at Elvira’s revelations, nor grateful for her advice. On the contrary, she was furious that Elvira had disclosed that someone had died in the room and aghast that it was haunted. Elvira’s friend would never eat in that dining room again. All the young members of the family started to have nightmares. The house was put up for sale, but there were no purchasers because of the rumours of ghostly happenings. At last the property was sold at a low price. The whole family was very upset. Needless to say Elvira was never invited to tea with them again. It was the incident with the Hedley Kow which had finally soured Elvira of telling her friends about her second sight. As all those know who have sat round old firesides listening to the tales their grandmothers tell, the area around the village of Hedley in the north of England is tormented by a creature from the old Faerie times called the Hedley Kow. Most who see this teasing old shadow from the past never know what it is until too late. A farmer may go into his field early one morning to bridle his horse. There he sees old Daisy munching the grass as usual. When he calls to her she moves out of reach. He goes after her, holding out a knob of sugar. Away she steps. For an hour the farmer will puff and pant round his field until he is exhausted and amazed at why dear old Daisy is being so difficult. Then suddenly he will see Daisy quietly standing in the shade of a tree. He will look back at the Daisy he has been chasing and with a shriek of laughter she will change into a grinning wraith and vanish into the morning mist. The Hedley Kow had taken the form of the farmer’s dear old horse to torment him and lead him a fine dance. Until he saw his real horse the farmer had never dreamed the one he was chasing was actually the Hedley Kow. One summer’s evening two young men were waiting in the lane near Hedley to meet their sweethearts when they left their work at the farm. They saw the girls walk out of the farmyard, but turn away and walk up the lane in the opposite direction. “Why be they a-walking up there, when they knows we be up along ’ere?” the young men asked themselves, hurrying after the girls and calling and waving. However fast the young men went, the girls kept ahead of them. They looked round, but they never spoke and they never waited in spite of all the young men’s calling. It was not until the girls walked across a muddy field and the young men following them got dirty in the mire that suspicion dawned. “We be following the Hedley Kow,” groaned one of the men. Then the girls screamed with laughter and disappeared. The tired, muddy men hurried back along the lane to find their real sweethearts waiting impatiently at the farm gates. When her friends suggested a country hike in the Hedley area, Elvira was expecting pranks. Nothing much happened until it was time to catch the only afternoon bus to take them the long miles back to town. The bus was due in the centre of the village at four o‘clock. The little group of friends trudged village-wards at half past three. Suddenly ahead of them they saw a little country bus standing waiting at the village market cross. They heard the engine start up and the bus slowly crawled away up the lane. It went very slowly, slowly enough for young people who ran energetically to catch up with it. Elvira smiled. She was not going to be caught by that trick. Before she could stop them her friends were off running after what they thought was the last bus of the day. They screamed and shouted for the bus to wait for them. They pounded their tired feet over the country road and pushed their aching muscles into action. However fast they ran, the bus kept ahead of them. It went slowly enough to tempt them to keep on running, but fast enough to keep out of reach. Elvira called to them not to bother, but they did not hear her. Elvira strolled to the market cross at the centre of the village and sat on a seat. A village woman stepped out of a shop and looked after the group of youngsters running and shouting along the road. The woman exchanged a look with Elvira and grinned. They both knew what was happening. At that moment the real bus drove into the village and stopped at the market cross and waited for four o’clock to chime. The bus ahead of Elvira’s friends turned a corner and high pitched laughter filled the air. The youngsters limped back cross and puzzled. They thought Elvira had been laughing at them. They sourly refused to believe that the bus had been a manifestation of the Hedley Kow. Thereafter their friendship towards Elvira cooled. Being gifted with second sight did not make for popularity.